Stones and rocks are not only used for your planters or gardens, they can be created for amazing decorations to decorate any parts of your home. Just like here’s painted stone ideas. 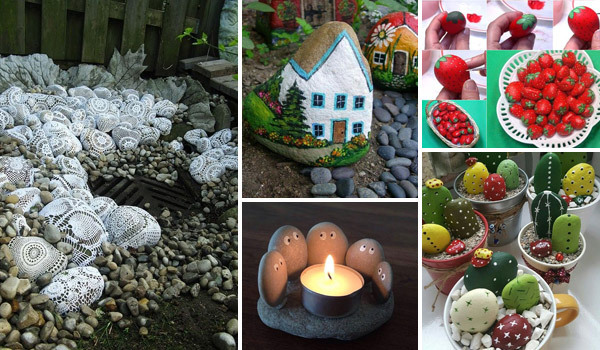 Painted stones and rocks give an artistic touch of unique charm to your home decor. They are the very cheap home decorations just need you to collect some rocks and acrylic paints and your creative painting ideas. Stones and rocks are everywhere and free, but be sure to look for flat, unpolished rocks as they make the best surface for painting. If you are looking for some creative decorations for your home decor, maybe you can take reference of below DIY stone painting and art ideas.